UPDATE (February 12, 2019) As this death investigation continues the autopsy has been completed. The cause of death is consistent with blunt force trauma of being struck by a vehicle. It also appears from evidence collected at the scene; the event may have started as a burglary or robbery inside the residence. 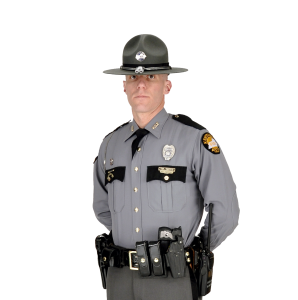 Pikeville KY (February 9, 2019) Kentucky State Police Post 09 are investigating a body found at a residence in the Johns Creek area of Pike County. Just after 930 AM, Saturday Post 09 received a call, which indicated a person was found lying outside a residence in the driveway. Upon the Troopers and EMS arrival it was determined the person Michele Smith age 44 from Johns Creek was deceased. As the preliminary investigation progressed, it appears there was a possible robbery with an assault possibly involving a motor vehicle. There will be an autopsy on the victim Monday morning the 11th. Anyone with any information is ask to call the Kentucky State Police at (606) 433-7711. You may remain anonymous only the information is needed. This is an ongoing investigation and led by Detective Newsome of the Kentucky State Police.